Molana-al-Moazzam Hazrat Jalaleddin Ali, Mir Abolfazl Angha is the 39th Master of the Oveyssi School. Born in Ghazvin, Iran in 1266 A.H (1849 A.D.), he pursued Islamic studies under famous teachers in that city until the age of nineteen. In 1284 A.H. (1867 A.D.), Hazrat Jalaleddin Ali moved to Tehran where he met his eminent master, Hazrat Abdolghader Jahromi, and studied under his guidance until his master passed away. He attained the absolute state of cognition through hard work, obedience and discipline. 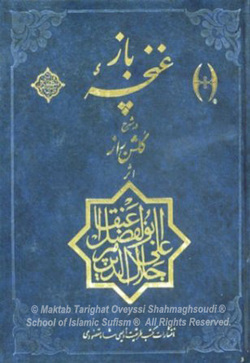 This is a divine guiding light illuminating the path of the seekers of truth, and a treatise enriched with signs and hints of reassurance and endorsement .The sacred sayings of the Holy Prophet are the opening statement of every section followed by meticulous explanations in astonishing verses of heartfelt presentations. On the second chapter, Haqayeq al Manaqeb, His Holiness depicts the biography of the Holy Imams and their eventful lives on their missions to guide mankind towards the true values and identity. It is a stark reminder of the delusions of the carnal self and the trails of calamities. 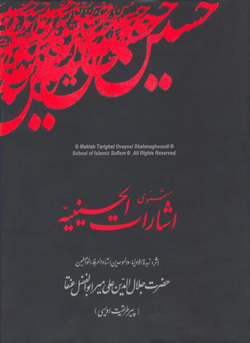 Both collections present brilliant poetic verses of most treasured Persian literature and a vital source of hope, elation and indication of wakefulness on the path of cognition. The author narrates the tragic epic of Karbala and depicts the most awesome events as they were unfolded for him from within his inner self. Every episode manifests the heavenly aspects of lovers whose sole intention is to seek the pleasure of the Divine Beloved. They candidly offer their lives to uphold the bestowed divine treasures and freedom. The crusaders of Karbala were unique symbols of sacrifice and devotion and His Holiness masterfully, chapter by chapter, exhibits the power of the Divine love and its impetus to drive forwards every martyr to fend off the violators of Laws of the Beloved. This is a poetic verse on the elucidation of 'Golshan e Raaz' , the Mystical work of Sheikh Shabestari the renowned Sufi Master of the fifteenth Century. Many authors have narrated their own explanations of 'Golshan e Raaz' but, 'Ghonche e Baaz' reveals the mystical message of Divine Lord in the Sheikh's book. 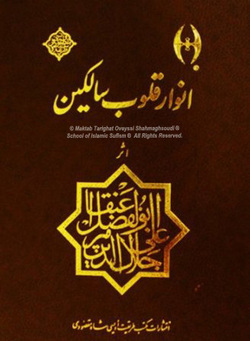 The author elaborates on a world of Truth for any researcher on the sayings of the Sheikh.